Facebook, I’ve fallen and I can’t get up! is there anything more debasing than a middle aged woman trying to take self portraits for her facebook profile picture? 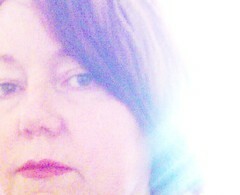 I know it’s overexposed — I like it that way! Did you guys hear about this news story? good grief. I am off for a fabulous day with my spinning guild — we are having a workshop in natural dyeing! I have remembered to pack my camera along with all the other gear so you can expect a photo or two at the very least! hope your Sunday is a good one too!